We love running, especially when it’s for a good cause. On June 9, join your fellow runners and community members for a race in honor of Ethan Monson-Dupuis – a local man who lost his life to opioid addiction and overdose in 2016. He was just 25 years old at the time of his death. Ethan’s Run Against Addiction will be held in honor of Ethan’s memory and to help raise awareness for opioid abuse and addiction. Below, race director Richard Dodd tells us more about the upcoming event. For race specifics, visit our Featured Races page. Can you start off by telling us a bit about Ethan’s Run? How did you get the idea for the race? I coached Ethan when he was a freshman at Whitnall High School. He ran both cross country and track for four years. Don Schwartz is a co-organizer and his son, Matt, was Ethan’s teammate. Establishing a 5K Run/Walk in Ethan’s memory was a natural fit. The idea came to me on the first anniversary of Ethan’s passing – December 27, 2017. I called Don Schwartz about it, and he said “Let’s get together after the first of the year (2018).” Coincidentally, I ran into Jeff Monson-Dupuis (Ethan’s dad) a week later and told him about the idea. He said his wife Robin had a dream about something similar. By the end of January, Don and I had met with the Greenfield Mayor, Fire & Police Chiefs, Park & Rec and the Monson-Dupuis family. Ethan’s Run Against Addiction was launched! One unique feature is that Ethan’s Run entry fees will go entirely to the Ethan Monson-Dupuis Opiate Recovery Fund through Aurora Healthcare. This fund was established to help others who are experiencing what Ethan and his family went through. All dollars raised will stay in the greater Milwaukee area. Another unique feature is we are basically getting the keys to the city thanks to all the Greenfield officials involved with the race. We want a highly visible race to help stop the stigma. So our race will start in the middle of Layton Avenue before proceeding west to 68th Street then east on Edgerton Avenue before going back to Konkel Park for the finish. Participants will run down the middle of these major arterial roads! Why did you pick the race location? Konkel Park was a natural choice for the locale of Ethan’s Run, as it is across from the Greenfield Police Station. We will have a DJ playing music from the park band shell and WTMJ 620’s Gene Mueller will serve as emcee. There is ample parking and a huge picnic & play area for the families that attend. Thanks to Richard for telling us about Ethan’s Run! To learn more about the race, or to register for the run, visit the race website. What could be luckier than racing on St. Patty’s Day? 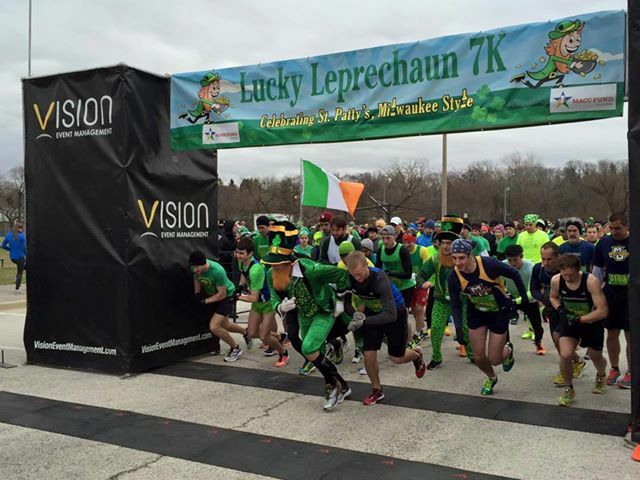 If you want to run a few miles to start the holiday, consider registering for this year’s Lucky Leprechaun 7k. 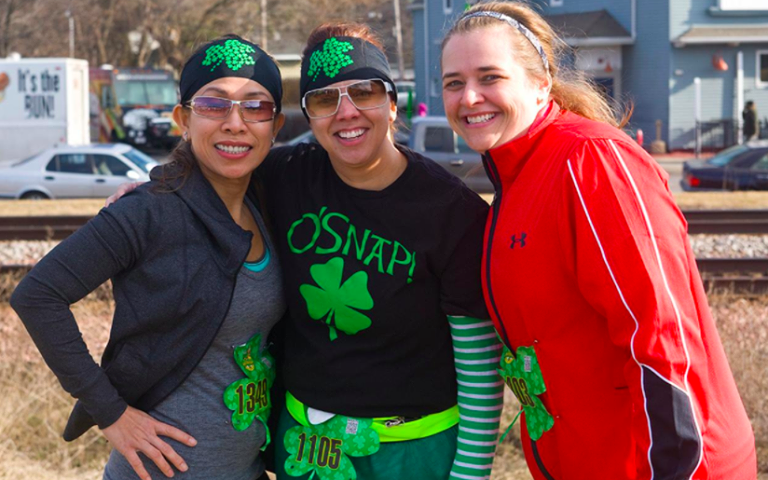 It’s guaranteed to be a great time whether you want to run a fast time – and beat a leprechaun! – or take it easy and run or walk the course with family and friends. Below, local race contact, Timothy Sluga, tells us more about this year’s race. For race specifics, see our Featured Races page. Can you tell us a bit about the Lucky Leprechaun race and what makes it unique? This year the race is on St. Patrick’s Day. That’s both a big deal for us and the community. Finishers will have the chance to join race sponsor, Leff’s Lucky Town, for a post-race bash that will also serve as the traditional St. Patrick’s Day celebration. The distance is also 7k, a quirky difference from the traditional 5k and 10k races runners typically participate in. We’re also working with the MACC Fund and a portion of every registration will go to help them in their research dedicated to childhood cancer and related blood disorders. The race is celebrating its 6th year in Milwaukee – is there anything new or different happening at this year’s race? A big difference is that this year’s race actually falls on St. Patrick’s Day. It gives runners and walkers the option of getting a great workout in before joining the rest of the community in the holiday celebration. A 7k race isn’t common – why was this distance selected? We chose 7k for a couple of reasons. One, it just naturally fits with the name – lucky number 7 for the Lucky Leprechaun. Also, there aren’t too many 7k races around. Some people just get sick of doing the traditional 5k distance and some are looking for a race that’s a bit longer. The distance adds up to just over 4.3 miles, so it’s not as daunting as some people make it out to be when they see 7k. What about the course – are there any major hills or tight turns runners should prepare for? The course is relatively flat, so there’s nothing that is going to crush anyone. At just over 4 miles, it will go by kind of quick, but it will give runners and walkers some great scenery through Hart Park, scenic downtown Wauwatosa and into some of the connected neighborhoods. Tell us more about the Out Run the Leprechaun contest – what are the details and how can people win? Out Run the Leprechaun is to give some motivation for some of the faster runners to step up their game. Simply, we have a Leprechaun running in the race and it’ll be out to crush the competition – after all, it is the Leprechaun’s day. We have some special prizes for a few people who beat the Leprechaun in the race. Our Leprechaun is no joke, though, so you’ll have to step up your game to beat it. Are there any other awards offered? We have finisher awards for top males and females, but our run isn’t all about awards. We’ve kind of found a niche with families and friends who like to get out together and enjoy a run or walk as a group. It’s incredible when you see a family represented by someone as young as two, in a stroller, and as old 80, finishing together. It’s an altogether different kind of award. What do participants get with their race registration? Every runner receives an official race t-shirt. Runners who signed up for a couple of weeks in December also receive a pretty sharp Lucky stainless glass. Runners 21 and over will each receive two free beers after the race to help transition from the run into St. Paddy’s Day! We’ll also have chips, coffee and hot chocolate provided by Zilli Hospitality Group and bananas from Maglio & co. In addition, we hope to have some discounts and offers from local businesses to help keep people in and around Hart Park and downtown Wauwatosa. What are some of the pre- and post-race happenings? Pre-race we’ll have music playing by DJ Sinclair as well as some refreshments. Post-race is going to be a blast. Leff’s Lucky Town is providing two beers for each participant over the age of 21, as well as live music and a festive St. Patrick’s Day experience. We expect a lot of runners to hang around, so it should be a lot of fun. Are volunteers needed? If so, how can people get involved? We always welcome more volunteers. For people who want to be a part of the community, but might not be all that interested in the run itself, this is the perfect way to achieve that. If people are interested in volunteering they can contact Michael Bielawski with the MACC Fund at MBielawski@maccfund.org or 414- 955-5835. We’re really excited for the race. The response to registration has been great and we’re expecting a great crowd for a morning of exercise and an afternoon of fun. We are lucky to be working with an awesome group of race sponsors. Performance Running Outfitters shares an unbelievable passion for running that really gets the community excited for our events. Zilli Hospitality Group has been great to work with and stepped up to take care of our pre- and post-race snacks. Maglio & Co. came on board late with bananas for everyone. WaterStone Bank gave us a great sponsor central to Wauwatosa. And, of course, who can forget Leff’s Lucky Town for bringing the party! Hey friends! Today’s post is courtesy of one of the best-loved races in town – Drumstick Dash 5k! Learn about this year’s race as well as how moving your feet on Thanksgiving day will help Feeding America Eastern Wisconsin provide meals for those in need. For race specifics, see our Featured Races page. The popular Drumstick Dash 5K, presented by Sendik’s Food Market, returns to Miller Park at 8:30am Thanksgiving morning. 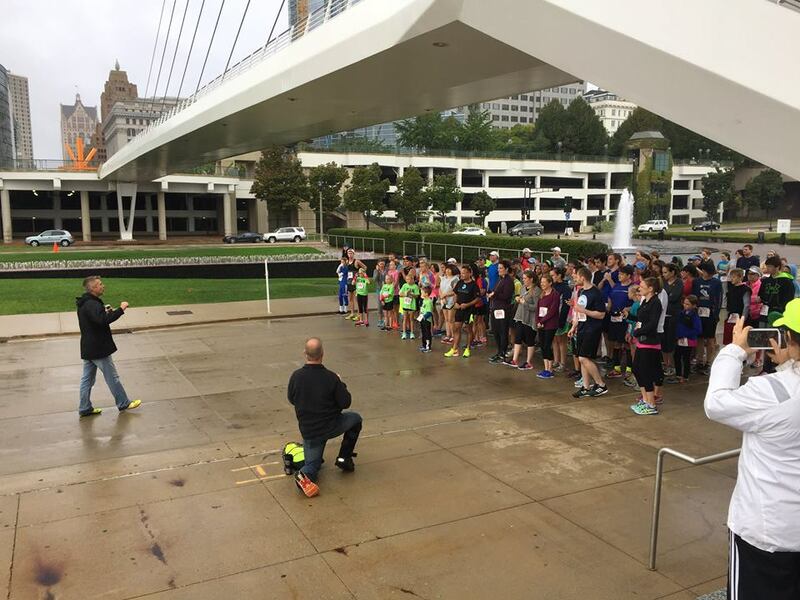 A Milwaukee family tradition since 2012, this sixth annual 3.1 mile run/walk once again benefits Feeding America Eastern Wisconsin. You may run/walk on your own, with your family or as part of a team. All participants receive warmth in their heart, a free long-sleeve cotton tee and complimentary coffee from Starbucks, while supplies last. An official Brooks Running event, all walkers and runners will also receive a special merchandise discount from Brooks. Have your picture taken with Bernie Brewer and Dash the Turkey! Parking at Miller Park is free. Those traveling out of town on Thanksgiving to visit loved ones will still be contributing to the cause by participating in the Outta Town Dash Around. In 2016, Feeding America Eastern Wisconsin was able to provide Eastern Wisconsin hungry neighbors with 46,900 meals from the monetary donations and more than 2,400 pounds of food collected at Miller Park during the 2016 Drumstick Dash. For every $1 raised through the Drumstick Dash 5K, Feeding America Eastern Wisconsin is able to provide three meals for those in need in Eastern Wisconsin. Feeding America Eastern Wisconsin is the leading hunger-relief organization in the state. They develop innovative solutions to increase access to healthy, nutritious food and works collaboratively with communities to implement programs that focus on strengthening the four pillars of household stability – Food, Health, Housing and Employment. Feeding America Eastern Wisconsin distributes approximately 29 million pounds of healthy and nutritious food to more than 550 members, including food pantries, meal programs and shelters throughout 36 counties in eastern Wisconsin. Together with their members, they provide the equivalent of more than 20 million meals a year to nearly 400,000 people, including 124,000 children and 41,000 seniors. Feeding America Eastern Wisconsin will accept food donations on the morning of the Drumstick Dash 5K. Suggested nonperishable items to donate include peanut butter, cereal, tuna, canned fruits and vegetables, pasta, rice and canned soup. Cash contributions will also be accepted. Every $1 donated provides 3 meals to a hungry neighbor. Other generous supporting partners of the 6th Annual Drumstick Dash include Performance Running Outfitters and FOX6. To register or to learn more about making a donation, please visit www.DrumstickDashMilwaukee.com. You may register online through November 22nd. Kids under four years of age are free but must still be registered. Bring your family, dress in holiday garb (random participants in costume will be awarded prizes) if you’re so inclined and come move your feet so others can eat! See you on Thanksgiving morning at Miller Park for the 6th Annual Drumstick Dash 5K presented by Sendik’s Food Market! Thanks to Drumstick Dash for the great information about a wonderful community event! Who’s planning to race a turkey trot this year? Although the Pettit Indoor Marathon is a new race, it will seem familiar to runners who’ve run a Pettit race in the past. There’s a new race weekend (Feb 9-11) and a few changes to the race distances, but one thing that’s staying the same is the fun factor. Below, Race Director Bill Schneider tells us more about the race weekend and how there’s a race distance for every runner. Let’s start with a Q we’ve heard a lot of runners asking – is the Pettit Indoor Marathon a new event or is it a new name for the beloved Icebreaker Indoor Marathon? The Pettit Indoor Marathon is a new event. However, it will have the feel of the old event as most of the organizing crew from Icebreaker is organizing the Pettit Indoor Marathon. I have been a part, in some form, of all nine years of Icebreaker having run the full marathon eight times and on the organizing team for seven years. Because of my familiarity with the crew at the Pettit Center, they asked me to organize this new event. I was more than happy to keep the great marathon tradition alive at the Pettit Center. What distances are offered during race weekend? On Friday, February 9th, we begin with a new event, the Half Marathon Relay. Just as the name suggests, it a relay equal to the distance of a half marathon (47.5 laps) for teams of four runners. Besides the normal divisions: male, female and mixed, we have added a new boys and girls high school division to the half marathon relay. On Saturday, February 10th, we will have two heats of the half marathon at 7:00 AM and 9:30 AM followed by a 1:00 PM full marathon relay. Then on Sunday, February 11th, we will run our crown jewel event, the full marathon. Also returning will be the “Running In The USA 142.3 Challenge” for runners brave enough to run the half marathon on Saturday and the full marathon on Sunday. This year, not only will the 142.3 Challenge runners receive three total medals, but they will also earn themselves a dozen specially made Running in the USA Cookies. What makes this event different from others in the area? This event is unique not only in the area, but the entire nation. We are the largest indoor marathon in the world, on the longest running track in the nation. There are other indoor marathons in the US, but none with temperatures as perfect as at the Pettit Center (~50F) and gradual turns. Our 3-lane, 445 meter track allows for little to no extra stress on your turn leg and ease of passing throughout the race. We have 95 aid stations for the full marathon and 47 for the half. There are 190 opportunities to use the restrooms only feet from the course. We are also the flattest race in the world, with an elevation change 0. Can you explain how the relay races work? What types of strategies work best for achieving a fast time? The relays are the fastest events of the weekend. Teams of two to four run the entire distance in relay format, alternating runners. Instead of a baton, runners exchange an ankle chip that counts laps. We allow teams to exchange as many times as they wish allowing for many creative strategies. It does take a few seconds to move the ankle chip from one runner’s ankle to another runner’s ankle (and, yes, it is REQUIRED to be worn on their ankle), so how long you run all depends on what is best for your team. I have seen teams running 4-lap repeats and some running 11 laps at a time. The chip exchange is always fun to watch. Teams may want to consider having a 3rd teammate do the exchange, thus saving a second or two. We love the idea of a half marathon relay – can you tell us why you added this race to the weekend? We decided to not have the 5K as the number of participants just wasn’t what it needed to be. When discussing what should be done instead. Randy Dean, the Executive Director of the Pettit Center, came up with the idea. The full marathon relay is always a very popular event, so, to be able to add more teams to the weekend, it was decided to add the half marathon relay. This allows runners who don’t run longer distances to participate (as the average distance per half relay runner is only 3.3 miles). So, if you are a 5K runner, this is right up your alley. Obviously, the course is mega flat with ideal temps. But, do you have any tips for runners hoping to run a fast time? Fast times are possible at the Pettit Center. Since a lap is 445 meters, making it virtually impossible to have mile markers, runners should review the pace chart in advance in addition to keeping track of their lap times. Every 445 meters can be seen if your lap time is on pace with your goal. Also, if all runners follow the rules as to which lane to run in, this will allow for the best possible passing situation. If slower runners are in lane 1, it makes passing difficult. If there is anything special you need during the race, please make sure you keep it trackside (along the wall on the east turn) for ease of pick up whenever needed. Are overall and/or age group prizes awarded? For full marathon and half marathon we will have awards for the top three overall males and females. Each runner will receive a finisher’s medal. For the relays, awards will be given to the top 3three teams for males, females, and mixed. We will also have awards for the top boys and girls high school relay teams in the half marathon relay. All members of these teams must be in high school or younger. What do participants get with their race entry? All participants receive a goodie bag including a Pettit Indoor Marathon long-sleeve technical shirt, ideal for running at the Pettit Center. Runners will have post-race refreshments in the Hall of Fame room, including the world-famous Running in the USA cookies. Absolutely! Spectators are more than welcome to sit in the bleachers and watch their family or friends run their race. We encourage the kids to give high fives from the bleachers and signs are welcome. Where else can you watch someone run a marathon in person and see them pass by 95 times without moving an inch? Just bring a light jacket or sweatshirt as it gets cold in the Pettit Center. Mary Flaws from Running in the USA is baking her world-famous cookies for all runners. They will be available after every race. In fact, Mary and Running in the USA are now sponsors of the Running in the USA 142.3 Challenge. Runners who complete both the half marathon on Saturday and follow up with the full marathon on Sunday will receive a dozen of these cookies. We will be keeping the great running tradition at the Pettit Center alive and well. We hope those who have run at the Pettit before return in addition to introduce a new batch of runners. For those who have more questions, please see our website at www.pettitindoormarathon.com or email us at pettitindoormarathon@gmail.com. Feel free to ask me questions, in person, at the Pettit Center. I am usually there running on Saturday mornings in the winter, and on some evenings with my daughters. Thanks for chatting with us, Bill – we’re looking forward to an awesome weekend of racing! Milwaukee Lakefront Marathon is one of our city’s biggest running events. But up until recently you had to be ready to tackle 26.2 miles to take part in race weekend. Last year the Badgerland Striders introduced the Milwaukee Lakefront Marathon 5k as an event to celebrate runners of all abilities. This year, the race will be even better – the ideal event for all runners whether the aim is a podium finish, new 5k PR, finishing a first 5k or just enjoying a morning with family and friends. Below, Scott Stauske with the Badgerland Striders tells us more about the event. For race specifics, visit our Featured Races page. Can you start off by telling us a bit about the Lakefront Marathon 5k? What makes this race unique? First off, thank you very much for the opportunity to speak a little bit about this newer event. The Badgerland Striders will be hosting the 37th Milwaukee Lakefront Marathon on October 1. Since many family and friends of runners will be at the finish line area of Veteran’s Park, I thought it would be great to create a true “family” running event in an effort to get the spectators more involved in the day’s activities. The Badgerland Striders have also been the sponsor of a youth running program over the past 10 weeks and many of the kids will participate in the 5k as their graduation from the program. Is there anything new or different happening at this year’s race? Any changes from last year’s race? Yes! Last year was our inaugural year, and it was also meant to be a fundraiser for the Milwaukee Police Department Endurance Club. ALL proceeds were going to be given to this group in exchange for their volunteering and management of the run. Unfortunately, they were told by superiors to abandon the effort only two weeks out from the event due to the continued protests from the Sherman Park incident. With very little time, the Striders tried to pull the race together and not disappoint those who had signed up. The course ended up being not adequately measured and there were definite shortcomings from what you would expect in a Strider-supported event. This year’s course has been accurately measured, we have volunteers in place, and are looking forward to producing this niche event. Why did you pick the location for the race? The Milwaukee lakefront is a spectacular backdrop for enjoyable running and our course is 99.9% next to water. The Lakefront Marathon finishes in Veterans Park so a course was measured to take the 5K participants on a great course and finish through the same chute as the marathoners will a very short time later. The announcers, the crowds and the truss itself are all designed to welcome everyone home. It is my hope that the 5K’ers will feel like they are part of a larger event. Everyone feels like a rock star! Are there any post-race festivities? The grounds will have the tents and excitement in preparation for those who are participating in the 26.2 mile distance. Check out the merchandise tent and cheer on the runners as they come down the long stretch toward the finish. Also enjoy the sights, smells and food and beverages. Are there overall and/or age group prizes? Any top contenders for the overall wins this year? We will have first place overall winners for male/female and Masters M/F. In addition, we will have Age Group awards in 10-year increments. We want to keep this event rather “small” and with an emphasis on having fun. So everyone is invited – it doesn’t matter if you are a speedster looking for a PR or a dad pulling a wagon of kids – we want you here! Since it’s only our second year, we’re not sure who to expect to contend for the win! This is where we shine! For those that signed up early, an event shirt will be provided but for those reading this now and not eligible for a shirt, we still have an outstanding value. You’ll get a timed and accurate 5K run and, in addition, we will have bakery from Papas Bakery, a Strider finishing medal, a customized race belt, coffee and water and the adults may enjoy a couple cups of great beer! Also, you should know that you are supporting future youth running programs. Why is this race a good fit for runners – and walkers – of all abilities? The Badgerland Striders, Wisconsin’s largest running club and the 6th largest in all the United States, welcome all runners regardless of ability. Our 5K has a generous 45 minute cut-off time. Plus, as mentioned, it is a fun course to start the day off right. We know that local runners have lots of options when it comes to their running dollars, and the Badgerland Striders always try to offer the absolute best value. For as little as $20 dollars, you can get all the perks for this event. But you should also know that all of the money is going to Girls on the Run of Southeastern Wisconsin as a thank you for their assistance with our “I Can 26.2 It!” program. Kids between the ages of 5 and 12 have been participating in at-home and weekly group sessions. On “Marathon Sunday” they will be running their last 1.2 miles to complete their cumulative 26.2 mile marathon distance. Best of all, they begin this at 8:45am, so as soon as the 5K is finished, those runners get to be the cheering section for our youngest runners and see the huge smiles on their faces when they are presented with their medals. Please consider registering at: www.lfm5k.zapevent.com – you can also register onsite on race day. Thank you for supporting the Badgerland Striders, Girls on the Run and our mission to keep our youth physically fit and happy through the sport of running. Thanks so much for chatting with us, Scott! Remember runners – you can register for the race at lfm5k.zapevent.com or onsite on race day. How is your week going? Any race plans this upcoming weekend? These days, you can run a local road race pretty much every weekend. But the opportunities to race on a track are few and far between. Luckily for MKE runners, the Badgerland Striders host several track meets throughout the spring and summer making it easy to test your speed on the oval. Joining us today are event directors Alice and Ron Winkler. They’ve run the Strider track meets for 25 years and have all the info you need to jump in the upcoming meet. 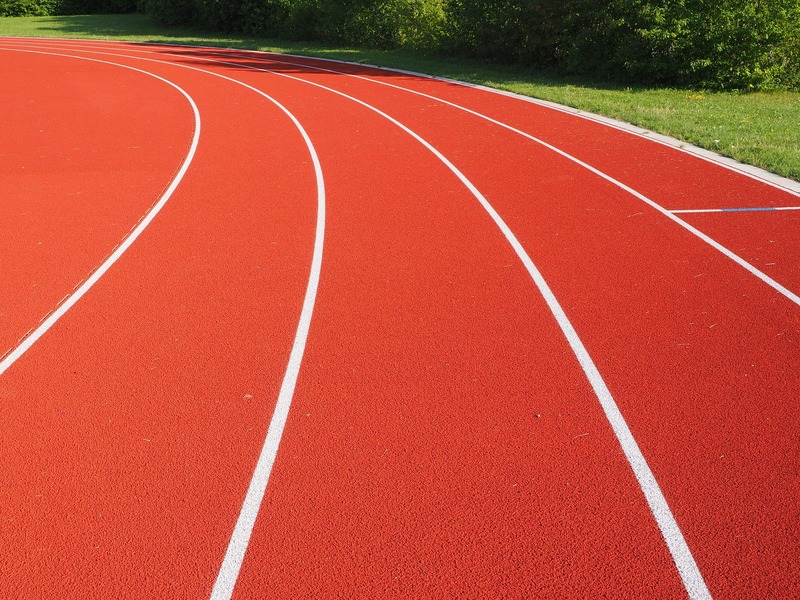 To get started, let’s talk specifics: When is the May track meet and where will it be held? The May Track meet is on Tuesday, May 30 at 6:30pm. It will be held at the St. Francis High School Track located at 4225 S. Lake Drive, across the street from the bike trail and Lake Michigan. It is on the boundary between St. Francis and Cudahy. Who can participate? Do people need to register and, if so, is there a registration fee? People of all ages and abilities are welcome to participate. This is a developmental meet. There is no registration and there is no entry fee. Consequently, there are no awards. Participants can just show up prior to the 6:30pm start and run in as many events as they want. Which distances will be run at the meet? There are no hurdles or field events. The events are: 100 meters, 200 meters. 400 meters, 800 meters, 1600 meters, and 3200 meters. The following relays will also be included: 4 x 100 and 4 x 400. Participants are welcome to compete in as many races as they like. Will people run against others of similar gender, age, ability, etc? A lot of newbie or slower runners may be hesitant to participate – are they still welcome to run? Are there any time requirements to participate? This is a developmental track meet so there are no entry standards; all ages and abilities are welcome. The object is to have fun. We cheer each other on. Let’s talk history: How long have these track meets been held and how did they get started? The track meets date from 1959 when the old Milwaukee Track Club (MTC) was founded by Jim Hanley and Brian Murphy. The MTC sponsored track meets and road runs. One of those road runs was a 10-mile race held for the first time in 1961. Today, under the auspices of the Badgerland Striders, it is Wisconsin’s oldest distance race, known as the Cudahy Classic; this year will be its 57th running. Fast forward to 1973 when the well-organized MTC, with a large membership, lacked a base of operations. Conversely, the University of Wisconsin-Milwaukee Track Club (UWM-Track Club), founded in 1972 with the intention of retaining post-college athletes, had few members. The two organizations merged to provide a home for the MTC and the opportunity to boost its image, while the UWM-Track Club gained the expertise and membership of the MTC. By 1977, the UWM-Track Club, now separate from UWM and with members from all over Wisconsin, felt that the name limited the club geographically. In addition, the words “Track Club” bothered some people because the club was active in not only track and field, but also road running and cross country. We (Alice and Ron Winkler) have been in charge of these track meets for about 25 years. Has anything crazy or unexpected happened at any of the track meets in previous years? We are literally next to the lake, so the track can be much cooler than the rest of the Milwaukee metropolitan area. Many times people arrive at the track unprepared for the cooler weather. In addition, the weather at the track can change unexpectedly when the wind shifts to the east. The wind coming off the lake can cause sunny and warm to become cloudy and even foggy with an accompanying temperature drop of twenty degrees or more. Will additional BLS track meets be held this summer? The other track meets will also be held at St. Francis High School Track at 6:30 pm on Tuesday, June 20 and Tuesday, July 11. Thanks so much for chatting with us, Alice and Ron! Who will we see at the upcoming BLS track meet? Which event(s) will you run? The most delicious race finish? A finish that ends steps away from a Bloody Mary bar and tasty eats! One of Milwaukee’s newest races, Run4Food 5k, will offer just that on Sunday, March 12 @9am. And in case you’re thinking about skipping out because of potentially nasty March weather, the race will be held indoors at the Wisconsin Center. Below, race director, Chris Ponteri, tells us more about the event. This is the inaugural Run4Food 5k – can you tell us why the race was created and give us a general overview of the event? The race is being putting on by the Wisconsin Restaurant Association as part of its annual Midwest Foodservice Show at the Wisconsin Center. They want to have a 5k race to give attendees something fun and healthy to do while they are in Milwaukee. Two things: 1) It’s indoors, and 2) The food theme. There will be “tasting stations” with food from several of the show vendors, including a build-your-own Bloody Mary bar after the race. What was behind the decision to run the race indoors? When I heard the Midwest Foodservice Show is in March, I suggested doing it indoors since they have a nice space for it and who knows what kind of weather we will have that time of the year. As far as I know, this will be the first race of its kind in Milwaukee. We have the Icebreaker, which is held at the Pettit Center, but that is on an existing running track. For this one, we will be creating our own course. Running an indoor course is something most runners have never done – can you tell us about what the course is like? The corridors at the Wisconsin Center are wide and in a U-shape, and we are going to connect by going through the kitchen area. The course will be a square shape and will be about a quarter mile long so participants will have to do around 12 laps. There will be prizes for the top three overall male and female finishers and age group awards in yet-to-be-determined categories. Participants will get a shirt, a goody bag and free food and drinks after the race. Tell us about the post-race party – it sounds like there will be a lot of great eats and drinks on hand for runners to sample! In additional to the Bloody Mary bar with Tito’s Vodka and Jimmy Luv’s flavors, MillerCoors will be serving Leinenkugels, Blue Moon, Redd’s and Henry’s Hard Soda. There will also be food and/or drinks from Harvest Hill, Alpha Baking Co., Klondike Cheese, WhiteWave Foodservice, Campbell’s Soups, Kent Precision Foods, Outback Steakhouse and CiderBoys, with more to come. Thanks for chatting with us, Chris, and for giving us the scoop on this new MKE race! Enjoy what should be a gorgeous weekend for running – can you believe temps in the 50s are in the forecast? We’re getting spoiled this February!